Myopia has been a pretty big part of my life as I've had to wear glasses since I was about 8 years old! Both my parents have myopia so it was pretty much set in stone that I'd inherit it too & plus I used to read a lot when I was young. Fast forward 17 years, I'm 25 years old (soon!) & my myopia stabilised at ~600 degrees. Most people I know have degrees ranging between 100-400 & only a few of us break that 500 degree barrier. LOL. If you don't have a high degree like I do, you don't get how it's like to have a person stand in front of you & not be able to make out who it is... It's that bad! 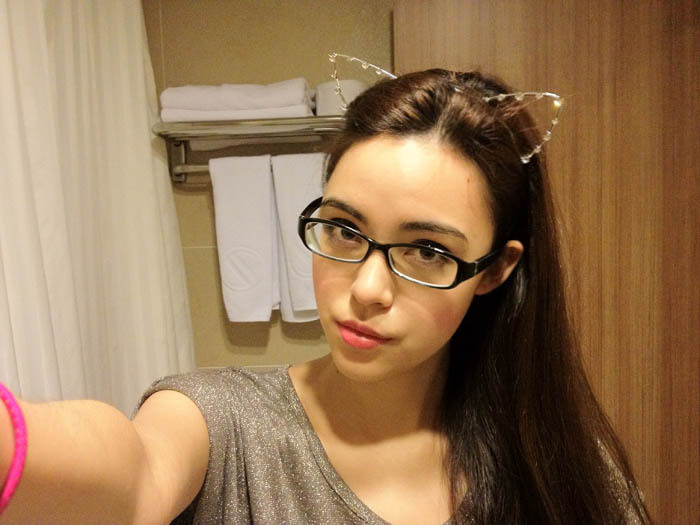 I have worn contact lens on a daily basis since I was 15 years old & anytime I'm not wearing them, I'm in my spectacles. I put them on as soon as I wake up & take them off only right before I sleep. I even wear them into the shower & only take them off when I need to get my face wet! You can say... I'm pretty handicapped due to my low vision. 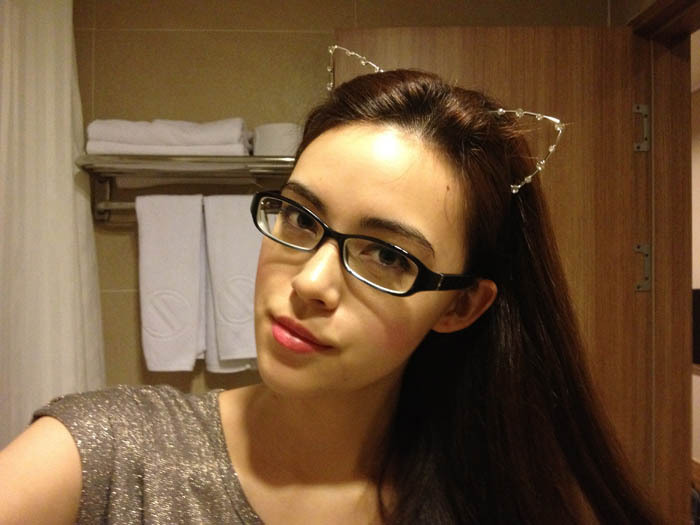 The only 2 pictures of myself in spectacles that I've ever put on my blog (other than childhood ones). I've always known I would be going for LASIK. It has always been my plan & a definite eventuality. And that time is now!!!! 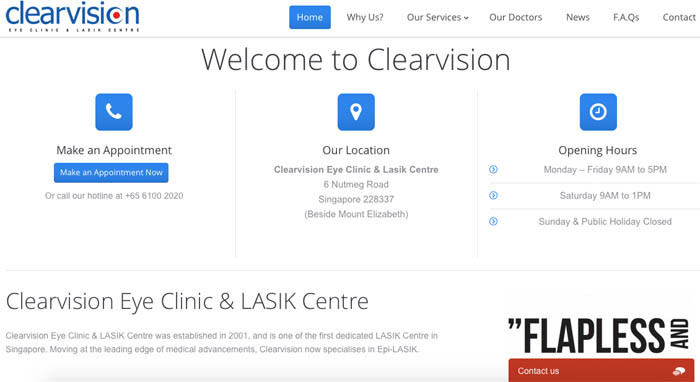 I went for a consultation with Clearvision Eye Clinic & LASIK Centre some time back. Their clinic is very conveniently located in town, just behind Lucky Plaza & next to Mount Elizabeth Medical Centre (where you will also go for some follow-ups with the eye doctor). I'm sure most of you have heard of LASIK. However recently there have actually been new procedures that are much, much better than LASIK! You may have also heard of Epi-LASIK & ReLEx SMILE. Those 2 are much newer procedures than LASIK & frankly I wouldn't recommend LASIK to anyone. The procedure I will be going for is Epi-LASIK! It's a better procedure than LASIK in sooo many ways. You should set aside about 2-3 hours for your consultation, which will involve checking your cornea thickness, subjective refraction & so on. Your eyes will be dilated beforehand which means your near vision may be affected for a few hours afterwards! However personally I've gone through this eye dilation a few times (for this consultation & other eye checks when I was younger) & I've never had any problems afterwards; my vision was pretty much normal. Epi-LASIK is a non-invasive, surface based procedure, safer procedure that is suitable for almost everyone, even if you have been rejected for LASIK. Individuals with these characteristics below are still able to go for Epi-LASIK! P.S. Both LASIK & ReLEx SMILE can only accept patients with myopia up to 1000 degrees. There are a TON of benefits of opting for a flapless & bladeless technique (Epi-LASIK)! # Cutting a flap in your cornea can result in many complications such as flap wrinkles, infection, flap dislodgement & inflammation. # You do not need to worry about suffering from long term dry eyes after LASIK as cornea nerves are not cut. Thousands of cornea nerve endings are cut when the cornea flap is created! # You need not worry about the higher risk of traumatic cornea flap damage when engaging in sports. This is very important as there is NO improvements or refinements that can be done after LASIK. Furthermore, as we age we may also face problems of "lau hua" (long-sighteness), which can still be corrected after an Epi-LASIK surgery. Regarding ReLEx SMILE, it also has similar benefits to Epi-LASIK of being flapless & bladeless. # It is more expensive. LOL. SNEC refers to Singapore National Eye Centre by the way! So as you can see, Clearvision Eye Clinic & LASIK Centre is priced very competitively. And honestly at $3000+ I think it's a pretty good investment for perfect vision the rest of your life! Pretty sure permanent myopia correction is more worthwhile. Their website is actually crazily informative, covering the procedure of Epi-LASIK as well as FAQs regarding medical leave & even claiming from insurance/Medisave. 3 comments on "Epi-LASIK (Part 1)"
I never heard about epi-lasik before and I'd love to see your result!